This is how I think Nod Mission 1 should have been made in the first place. Anyone who thinks that the original mission was way too easy, this map is for you! Just add it to your TS folder. Not sure if it will work with other mods. If you have some advice about what could be improved, feel free to share it here. All things considered, the map is finished. No credit is required, since I made this map for fun! -New base additions (garage with vehicles, spotlight towers, ammo boxes). -More Light on the map (tib field, town). -Oxanna is playable (uses sniper rifle). -New way to lose - let Oxanna die. Worked just fine with my mod, although I would prefer if you replace these elite Mutant Sergeants with elite Light infantries, anyway good job, I like it. The reason I added those mutants was because I wanted to have something else in my army. My first idea was 3 LIs and 1 Raider Buggy. That of cource made my army too strong. Anyway, it is like 1 LI went to a nearby Mutant Dwelling for reinforcements before the attack. That is why he brought some mutants. Yeah but Nod doesnt like Mutants, so I was thinking like this 1 LI has some mutant friends, there was no one nearby and they really needed help in that base so there was no other option. I would be happy, for more upgrades on the original campaign missions. I like the additions. Have you picked up large scale SP mapping? Suggestion: Add Slavik's evacuation. If both Slavik and Oxanna died, mission is failed. 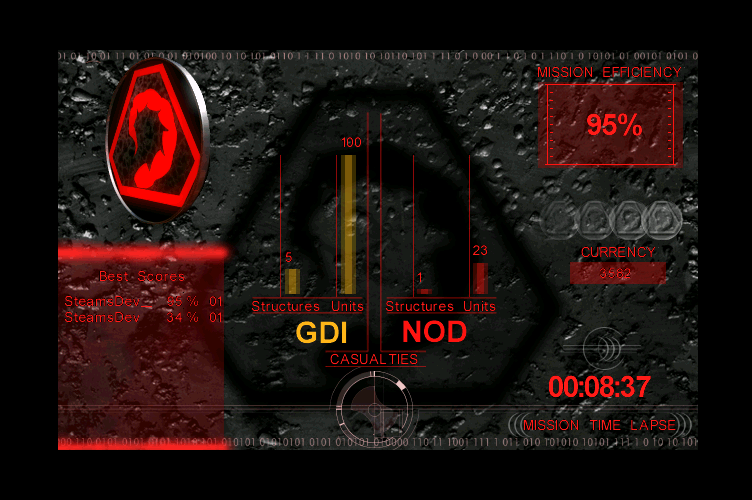 In this mission, Slavik is not evacuating. He came with his forces to save the base. Oxana is thrown into the action for fun. Heroes must do action, too. I was bale to beat your mission yesterday. Man was it hard! "I'm grade-A, 100%, prime-cut final boss! I'm going to take over the world any day now!" the retreating LIs. After a few minutes 2-3 Tick Tanks and a buggy will charge in the front door. I tought that it would be too hard and overwhelming for a first mission, so I scraped those ideas and now you have this one. Thank you for playing it! Updaded the map a little bit and added a video to show it.